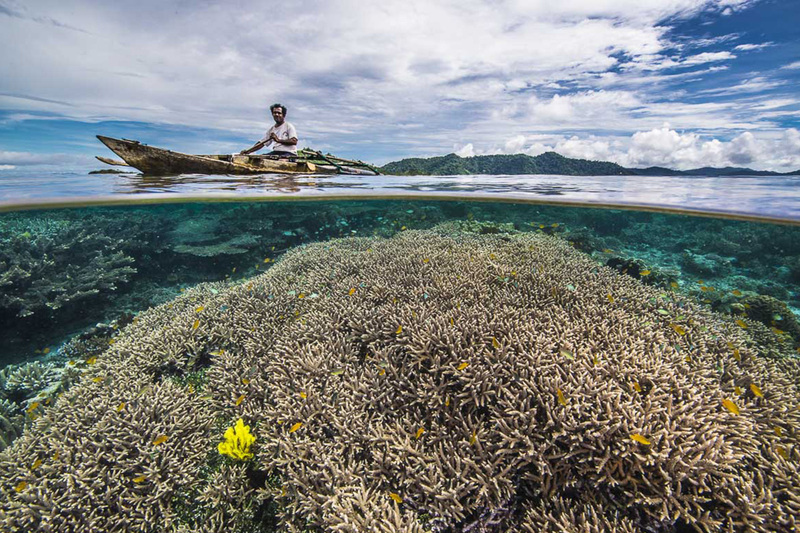 Raja Ampat off the coast of West Papua is one of the richest areas for marine diversity in the world. Because of this it is of the utmost importance to keep this area’s ecosystem healthy. While diving in Raja Ampat you will have an amazing opportunity to see species found nowhere else in the world. But it’s vital to be aware of eco-friendly diving practices. 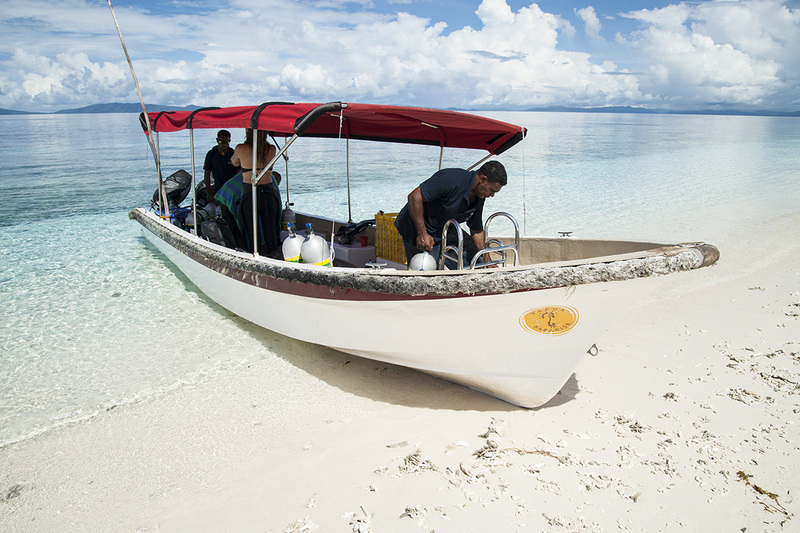 Raja Ampat’s regency government created 6 Marine Protected Areas in 2007. Before this there was only 1 protected area and coral bleaching, damaging fishing methods and erosion were major problems. More protected areas were added in 2009. 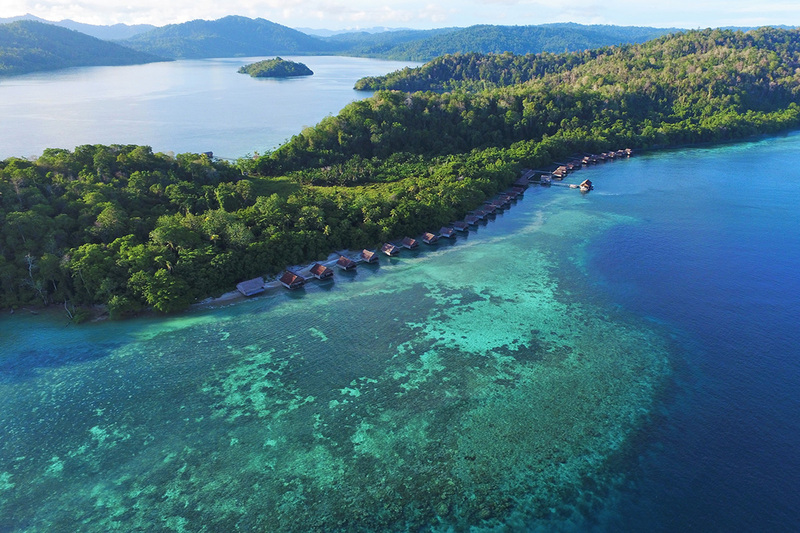 Now with the Bird’s Head Seascape, there are more than 3 million hectares of protected marine areas in Raja Ampat. While Diving in Raja Ampat there are some practices you will want to keep in mind so you make a minimal effect on the ecosystem. All divers learn that touching anything while they are underwater can upset the whole ecosystem. This is especially important in areas as delicate as Raja Ampat. If you’re a new diver, you’ll want to concentrate on maintaining buoyancy control to avoid crashing into coral or marine life. You also need to remember to think before you kick with your fins, ensuring there is nothing close that could be damaged. It can be very tempting to pick up a little something while you’re diving. However, it can be illegal to take anything, even a dead piece of coral or shell. 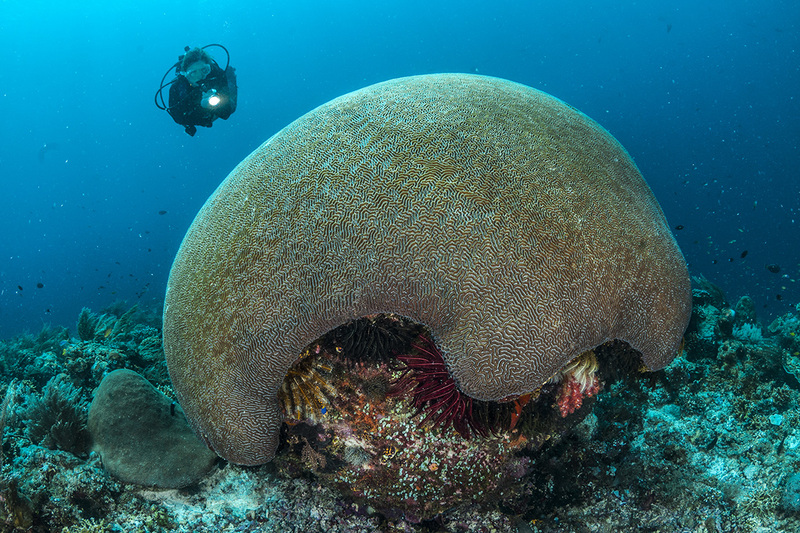 Every piece of coral, shell or rock has an important place in the ecosystem. Diving is such an incredible feeling it’s easy to get carried away and want to get as close as possible to marine life. However, this is both dangerous and stressful for the animals. 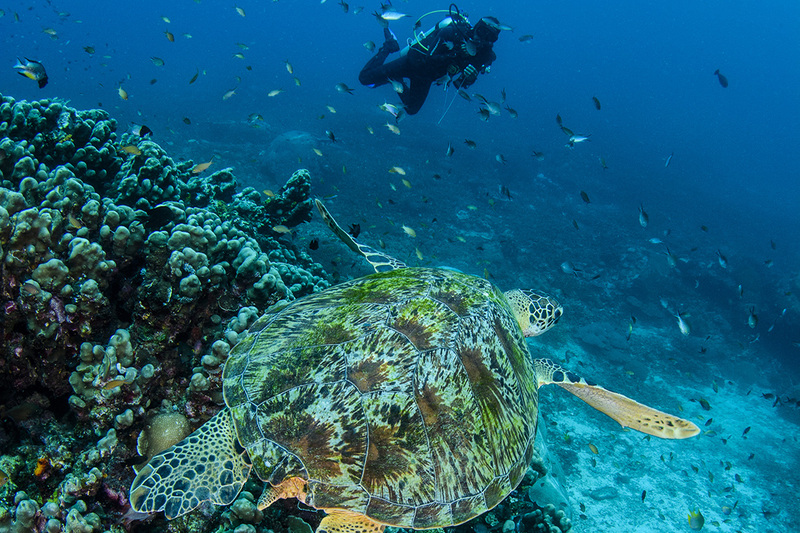 When diving around dolphins, whale sharks, sharks and turtles you should give them their space. Let them know you are not a threat and are just watching by staying well away. Feeding fish to bring them closer can also be tempting, but feeding something that is not part of their usual diet can interrupt their natural nutrient balance. This in turn has a negative effect on the ecosystem. There are over 100 traditional villages in Raja Ampat, and there is no better way to learn about conservation than to talk to villagers. They have been practicing traditional conservation methods for centuries. They also now work with a number of conservation projects. These projects helped by stepping in when modern fisheries began to damage the area with destructive fishing methods in the early 2000s. Children are educated on how to conserve their natural resources and villagers guard the region fiercely by working together to keep protected areas safe. They now understand that their environment is far more precious than money from fisheries. Lastly, you should be very careful when cleaning your diving gear and even when showering. Cleaning products, detergents, soap and shampoo can damage fresh water, so it’s always best to use natural products. You can buy plenty of products made from soap nuts and natural oils that are safe to use, even if they get in the water. How do you ensure to leave the least impact on the environment when you dive? Leave us a comment below!